The Waynesboro Police Department arrested a city man last night on several charges after he assaulted his girlfriend twice. 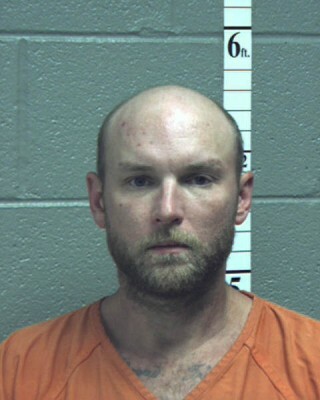 Mark Seneca Sampson, 36 years old, faces two felonies and three misdemeanors stemming from an alcohol-fueled tirade that sent his 40-year-old girlfriend to Augusta Health Emergency Department with a head injury. Sampson also threatened his neighbor who tried to intervene on the first assault. On Tuesday at approximately 7 p.m., officers responded to an apartment complex in the 500 block of Hamlet Avenue for a report of a neighborhood dispute involving an drunk man spewing obscenities and threats to other residents. On scene, they spoke with a 28 year old woman who claimed that Sampson was driving drunk, had assaulted his girlfriend and threatened her when she tried to intervene. The officers found Sampson in his apartment with his girlfriend. He was drunk and hostile and his girlfriend was uncooperative with the officers when they asked her about being assaulted. The officers then brought the witness to the Police Department in order to obtain a warrant from a magistrate for his threats against her. The warrant was issued within an hour. When the officers arrived back at Sampson’s apartment to arrest him, he was gone but they found his girlfriend suffering from a laceration to her head. She told officers that between the times that they were there, Sampson slammed her head against a wall. She was transported to the ED by the Waynesboro First Aid Crew. While officers were still at Sampson’s apartment tending to the victim, another officer saw Sampson driving on North Delphine Avenue near 4th Street. He stopped Sampson’s vehicle and arrested him.